We know that you want to provide for your family, and your family deserves the best insurance coverage available. Serving Sioux City, IA, Mackie INSURANCE Services is an insurance company you can trust. We have been providing quality health and life insurance coverage since 1979, and we are still going strong! Life is unpredictable, and sometimes circumstances occur that we just cannot control. That is why having both life and health insurance is crucial for peace of mind. We know that you want to provide for your family, and your family deserves the best insurance coverage available. Our team of insurance experts will work with you to ensure that you obtain the perfect coverage plan. We have all heard horror stories about health insurance providers dropping people the moment they become sick, but Mackie INSURANCE Services guarantees that your provider will never drop you just because you need them! Pre-existing conditions are no longer an obstacle to good healthcare insurance. We promise to find you a provider within your budget who will not discriminate against you for being sick in the past! 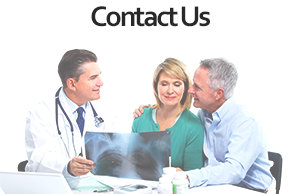 We only work with providers that we trust and we are 100% sure you can trust with your life. Do you need someone to help you organize and distribute your annuity payments? At Mackie INSURANCE Services, our experts will take care of all the paperwork for you. We make sure that you receive your payments exactly when they are scheduled to arrive. Let us dot the Is and cross the Ts so you can be confident that your future is in good hands. Everybody needs disability insurance. Accidents at work or home can happen anytime to anyone. Are you prepared to file for disability? Mackie INSURANCE Services will help you find the best disability insurance on the market. If an accident or medical problem keeps you out of work for any reason, disability insurance will provide for you and your family.